Indoor air quality plays a significant role in your family's health. 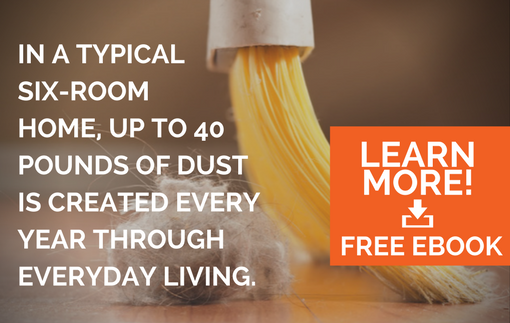 There are simply too many harmful allergens and contaminants that make their way into your San Antonio home on a daily basis to not be concerned about what your family is breathing. Every time you come inside, let the pets in, or even just wear your shoes indoors, you open your home and your HVAC system up to any number of contaminants such as pollen, pet dander, lead, mercury and flame retardants. These contaminants will waft through your San Antonio home until they are taken in by your HVAC system where they can build up for years if gone unchecked. Your HVAC system goes through 5 to 7 cycles per day, and every time the air turns on, the harmful contaminants inside your dirty air ducts are pushed out through your vents back into your home where they either find their way into your lungs or back into your HVAC system through a return. If someone in your San Antonio household suffers from allergies or respiratory conditions like asthma, poor indoor air quality can be detrimental to their health. An air duct cleaning is one of the best ways you can cut down on the harmful allergens and contaminants in your home. Dirty air ducts are also harmful to the efficiency of your HVAC system. You might notice warm or cold spots that are never the same temperature as the rest of the home, or you might find the air isn’t coming out as forcefully as it used to; these are all signs you’re due for a vent cleaning. AdvantaClean of San Antonio NW is trained in proper air vent cleaning techniques, and we can tackle even the dirtiest air ducts. Cleaning air ducts is a great addition to your next spring cleaning regimen and is also a terrific way to prepare a new build home for occupancy. The construction process in new builds, as well as renovations in older homes, produces a lot of harmful dirt and debris that your HVAC system is more than happy to take in during its next cycle. These contaminants are unhealthy to breathe and could be detrimental to the health of your household. Air duct cleaning will remove the contaminants, allowing you and your family to breathe easier. The National Air Duct Cleaners Association (NADCA) is a network of air duct cleaners who specialize in the proper techniques and strict parameters set forth by NADCA. AdvantaClean of San Antonio NW always stays firmly within those parameters, and we use NADCA's preferred process of cleaning on every vent cleaning we perform. Our technicians are highly trained in the technical process of vent cleaning and are always courteous and professional. We provide the highest standard of service in the industry, always!